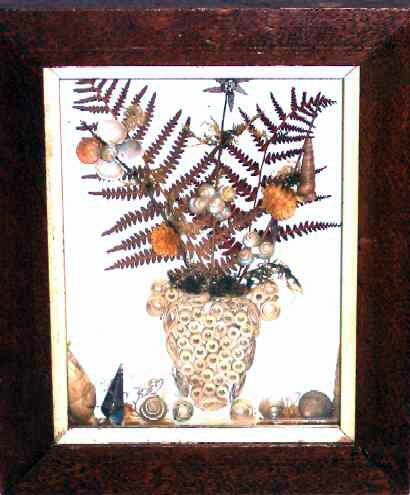 Presented here, a wonderful Victorian Paper Filigree Picture with Seashells. There's a bit of moss and some ferns also. The condition is excellent. It is framed in a walnut shadowbox frame with a gold liner. Sight size is 6-1/3" x 4-3/4" and 7-1/4" x 9" overall.